The team at Maker Toolset has done it again! We are excited to announce our “Mission to Mars” Summer Camp 2017 which will bring you four days of hands-on learning. 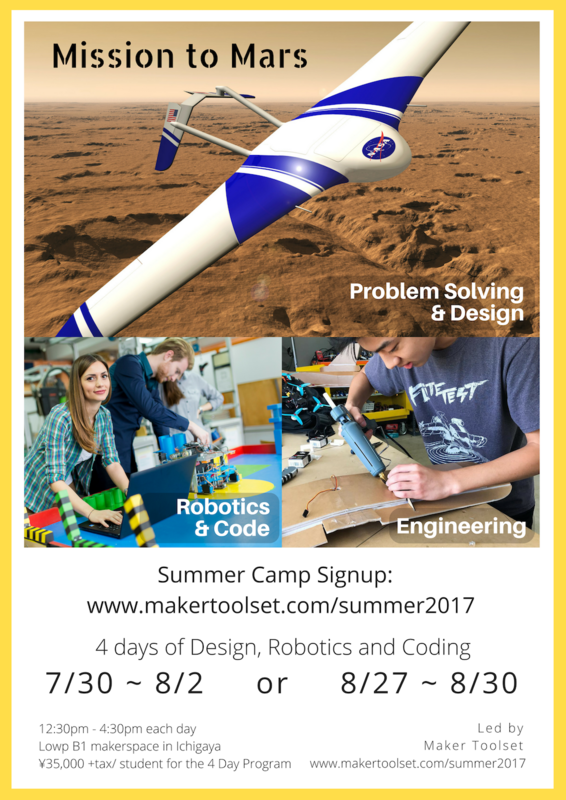 From building a foundation of STEM skills (Science, Technology, Engineering, and Mathematics) to preparing you for college level classes and careers in engineering and design, this camp will see you take flight this summer. Designed for beginners new to 2D and 3D modeling, engineering design, and coding for robotics you will quickly find confidence in your ability to build a drone glider. If you have spent time with any of these tools before, we also have a number of additional challenges awaiting to push the limits of your problem solving abilities. Introduction to Exploring Mars – What challenges do we face and what tools can help us? Learn basic aerodynamics and build techniques, and construct a pre-cut drone glider prototype. 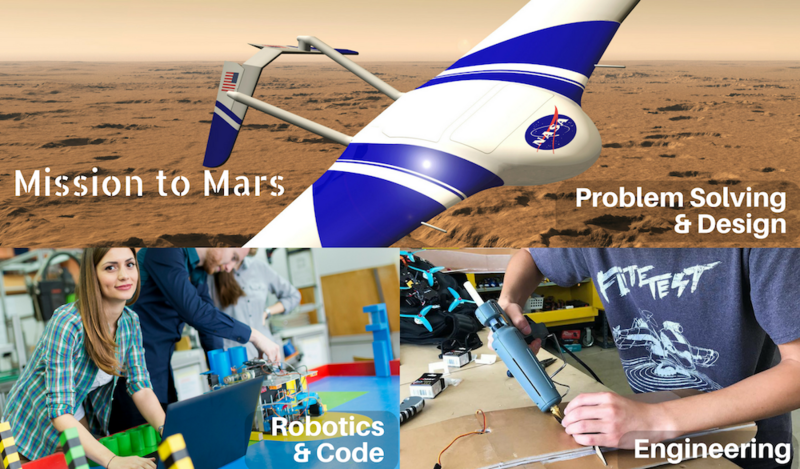 Learn about the unique problems for flight on Mars and start designing your own improved drone for exploring the Red Planet. Learn to use Sketchup for 2D & 3D design and problem solving. Design a drone (plane) and turn it into a template for laser cutting the parts to create a prototype. Each student will need to bring a laptop with Sketchup Make installed. Do basics of making the robot move, code to move an arm, obstacle avoidance and sensors. Final build and preparation for presentation of your drone solution. Additional investigation of real exploration scenarios for Mars and what can be done with the knowledge, tools, and techniques learned. Take flight this summer with us on a “Mission to Mars”. For those who cannot make our first camp, we have the same camp running late August as well.